The keto diet is becoming more and more famous because people are seeing real results. This is not just a diet trend that people will try once and move on from. When you give the keto diet a real shot, it will give you the weight loss results that you have been desiring. Ketogenic diets have been helping people to meet their weight loss goals for a long time now, and it is really inspiring to see. This diet is also just very appealing and helps to give you all of the energy that you need. If you are new to the keto diet, then you might be having a hard time figuring out exactly what you need to do to have success. It is really all about eating the right foods and sticking to it. This is a very lenient diet that allows you to enjoy so many tasty types of food. You will be able to eat delicious meats, cheeses, and much more. As long as you can avoid carbs in your diet, you will find success with keto. Your initial weeks on the keto diet are important, and you need to make sure that you are setting yourself up for success at the grocery store. For this reason, creating a keto diet shopping list is going to be beneficial. You’ll be able to figure out what you need and can seek everything out at the store while avoiding temptation. Sticking to a low carb diet plan will not be overly difficult if you buy the right things to eat. You can have a much easier time if you go ahead and create a grocery list ahead of your grocery shopping trip. Taking the time to look up the different keto-friendly foods that you should be looking for will make a huge difference. You can know what to expect, and you can go shopping with an agenda. If you go shopping without any clue as to what you should be purchasing, then you are setting yourself up for failure. It is easy to get tempted inside of a grocery store, and you don’t want to break down and buy things that you enjoy that will ruin your ketosis. Making a shopping list is not something that will be difficult, and you will actually have fun learning what you need to get. Once you make your first shopping list, you won’t have to do the research again in the future. Your initial research will be the toughest part, as you are going into this situation without much knowledge about foods that are good for the keto diet. As you learn, you will be able to understand what is good for you and what will simply not work. You’ll learn to find substitutes for old favorites and can ensure that you will be getting all of the nutrition that you need. Of course, meats are going to be a huge part of any keto diet. If you want to have success on this diet, then you should probably like meat quite a bit. There are many fantastic fatty meats that you can purchase to help you with your keto diet. Having access to meats with plenty of protein and lots of flavor should make this diet pretty easy. You should do your best to mix up the types of meat that you are buying, too. The trick to having success is to avoid getting bored with the foods that you are consuming. There are plenty of different types of meat on the market for you to enjoy. Buy some steaks one week, and next week you might want to try making some lamb chops. Whatever it is that you decide, remember that variety is the spice of life. When it comes to buying normal staple meats, try to pick out beef and chicken options that have high protein values. Some people want to make sure that they are buying meats of the highest possible quality, as well. You could go the extra mile and try to find meats that are derived from grass-fed animals. You may also want to look for fresh meat that comes directly from a butcher instead of buying frozen meats. Either way, just diversify the meats that you are getting, and you should be fine. Vegetables are an important part of your diet, as well. As amazing as it is to have an excuse to just eat meat all of the time, you are going to want to make sure that you are including plenty of vegetables in your diet. Some vegetables are going to work better than others when it comes to keto. You want to find vegetables that are giving you vitamins that your body needs. Some vegetables will need to be avoided while on the keto diet. Any vegetables that are high in starch will not work on this diet. Luckily, there are plenty of vegetables that are low in carbohydrates and that provide you with plenty of nutrients. Some of the best recommended vegetables for a keto diet include broccoli, carrots, peas, cabbage, beets, okra, and kale. 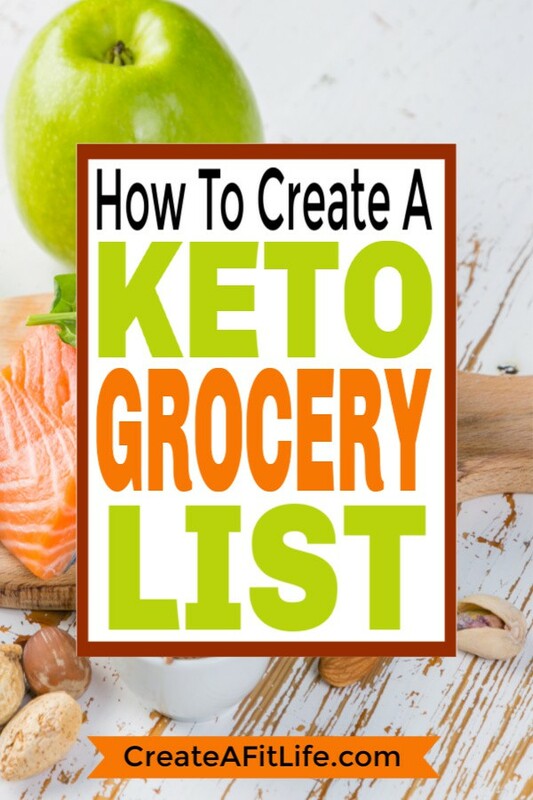 There are many others, too, but those should give you a good starting point for your keto diet shopping list. The vegetables mentioned above all have low carbohydrate amounts, so it will be easy to include them in your diet. Any good keto diet shopping list for beginners should include vegetables. It is important that you don’t leave these off of your grocery shopping list, as you would be missing out on an important part of the food pyramid. This will help to keep you healthy and satisfied. You do need to be careful about the types of sweeteners that you are using when you are on a strict ketogenic diet. You are going to be avoiding normal sugar-based sweeteners and using other items instead. This part of the shopping list tends to intimidate newcomers, as they are worried about not being able to avoid sugar entirely. It can actually be simpler than you realize when you buy the right stuff from the grocery store. Some of the sweeteners that you should put on your grocery list include stevia, monk fruit, allulose, swerve, truvia, and erythritol. This will make it easy when you are trying to sweeten certain dishes that you are making. It will also allow you to avoid using sugar in other things, such as coffee or tea. Don’t fret the lack of sugar in a keto diet when you have access to so many quality sweeteners. Fats are another important part of the keto diet. A keto diet grocery list and meal plan needs to include plenty of fats. Dietary fats are essential for giving you energy, and they promote cell growth. For this reason, you need to have good sources of dietary fats while on this diet. To add to this, buying foods that are high in omega-3 fatty acids will be very helpful to your body. These foods can offer you excellent anti-inflammatory benefits aside from just being healthy. Some foods that you should consider putting on your grocery list include salmon, walnuts, flax seed, and sardines. Combine these foods that are high in omega-3 fatty acids with other foods with beneficial fats. Finding good snacks on keto may not be easy at first. If you are used to eating things such as chips and cookies as a snack, then you might be a bit disappointed. You don’t have to feel down about not being able to have these food items, though. You will be able to enjoy delicious snacks if you know what to buy. For instance, there are recipes out there that will allow you to enjoy low carb chocolate chip cookies. This substitute to normal chocolate chip cookies will definitely be appealing to anyone who has a sweet tooth. Learning a few new recipes will allow you to compensate for not being able to have your traditional snacks. Some have even gone so far as to replicate peanut butter cups using keto-friendly methods. It’s amazing what people can accomplish with a little bit of sugar-free chocolate and some ingenuity. Another great idea is to use fruit as a good snack substitute. Fruit such as strawberries will be excellent for you, and it will help to satisfy your cravings. Blueberries, blackberries, and squash are also highly recommended. Be sure to add at list a bit of fruit to your keto shopping list. Buying dairy can be a bit tricky when you are adhering to a keto diet. Whole milk is something that you can drink in moderation, but it is higher in carbs than is ideal. It is going to be best to buy milk that is low in carbohydrates. Many people refer to items like this as milk substitutes, as they will be taking the place of milk in your diet. Almond milk, soy milk, flax milk, and coconut milk are incredibly popular choices. All of these will work well to help you keep your carbohydrate intake as low as possible. These can be substituted for milk in many recipes, as well. It will allow you to cook properly and avoid dairy-related carbs. You can use cheese without really having to worry, so you can add most of your favorite cheeses to your grocery list if you want to. Many of the top keto recipes contain copious amounts of cheddar cheese and other cheeses. As long as you plan ahead, your dairy shopping should not be too difficult while you are on the keto diet. Now that you have a good idea of what you can and cannot buy while on the keto diet, you should think about trying new things. Many people who try out this diet wind up becoming big fans of different types of food. It makes you want to branch out into different areas so that you can keep things fresh. In order to keep yourself interested in the diet and on track with your weight loss goals, it makes sense to want to have new foods to try. If you see an interesting recipe for a new keto dish, then do not be afraid to give it a shot. It just might turn into a staple food that will be a regular hit in your home. You want to have several dishes that you can rotate in and out on a monthly basis. Having more options for your meals keeps you happier and makes the overall dieting process simpler. If you are feeling interested, then take the time to look up some new recipes. The Internet is an excellent source for food recipes that you will love. You can find keto diet twists on old favorites, as well as unique creations that you would have never thought of. Whatever you are looking for, you will be able to find it if you do enough digging. Never shy away from trying new things. The keto diet will be so much more fun when you have a plethora of different dishes to enjoy. Also, it is important to find a grocery store that carries the right stuff that you need. Sometimes you will find that a grocery store doesn’t carry almond milk or soy milk. Depending on the popularity of these products in your area, it may be easy or difficult to find everything that you want. Sometimes you will need to go out of your way to shop at a good store that sells healthy food. If the big chain store that is close to your home isn’t stocking what you need, then branch out by going to a health food store. 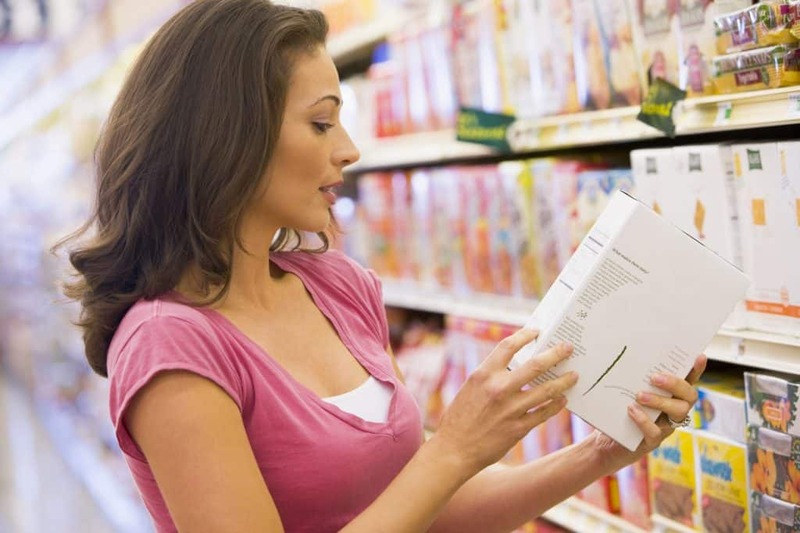 Health food stores will certainly carry soy milk, flax seeds, and any of the other stuff that you are looking for. It may also be beneficial to look into doing business with your local butcher to get the freshest meat possible. You will be eating a lot of meat on this diet, and you do want it to be of the highest quality. Whatever you decide to do, just make sure that you have access to the best ingredients so that your diet can go smoothly. The keto diet will be easier when you have a good grocery list to help you out. This will act as your guide and can ensure that you get what you need. Any good keto diet shopping list for beginners should include the items mentioned in this article. Use this as a great starting point so that your keto diet can be a huge success.